Youtube shooter female! & YOUNG Black conservatives? « Murders in London surpass those in New York… Very Bad! Youtube shooter was a WOMAN!?! Interesting! They’re calling it a domestic issue… a woman scorned?! 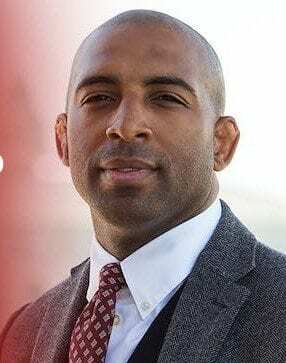 AND… Can there actually be YOUNG black Conservatives? H.W. (Harrison William) Floyd, the new Vice President of the Black Conservative Federation, says when the American military arrives at a foreign country, the people aren’t asking us to leave, they were asking us for help! The hate the world supposedly has for us that the Liberal media tries to portray is not true. The black community’s inherent values line up more with Conservatives than Liberals, but the black community has been sold a bunch of lies for decades. Liberals call Trump a racist because that’s what they think will help them win the midterms. Nevermind that it’s not true. Go back to Trump’s interviews from the 80’s. He’s saying the same things now. He hasn’t changed his stance. True racism doesn’t exist much anymore. Liberals have cooped the word and are actively redefining it to mean “prejudge” someone. That’s not racism! Racism is actually when one race is believed to be superior to another.